Scientific validity: the research must be methodologically rigorous. Fair subject selection: scientific objectives, not vulnerability or privilege, and the potential for and distribution of risks and benefits, should determine communities selected as study sites and the inclusion criteria for individual subjects. Independent review: unaffiliated individuals must review the research and approve, amend, or terminate it. Respect for enrolled subjects: subjects should have their privacy protected, the opportunity to withdraw, and their well-being monitored. These requirements are universal, although they must be adapted to the health, economic, cultural, and technological conditions in which clinical research is conducted. The central aim of clinical research is to develop generalizable knowledge to improve health and/or increase understanding of human biology, subjects who participate are the means to securing such knowledge. 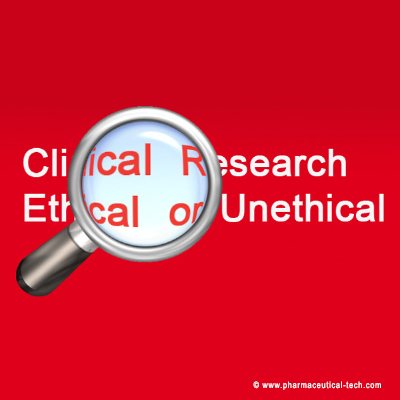 Ethical requirements for clinical research aim to minimize the possibility of exploitation by ensuring that research subjects are not merely used but are treated with respect while they contribute to the social good. For the past 50 years, the main sources of guidance on the ethical conduct of clinical research have been the Nuremberg Code, Declaration of Helsinki, Belmont Report, International Ethical Guidelines for Biomedical Research Involving Human Subjects, and similar documents, however, many of these documents were written in response to specific events and to avoid future scandals. The Council for International Organizations of Medical Sciences (CIOMS) guidelines were intended to apply the Declaration of Helsinki "in developing countries particularly for large-scale trials of vaccines and drugs." 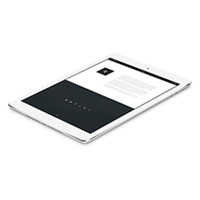 The CIOMS guidelines lack a separate section devoted to risk-benefit ratios, although the council considers this issue in commentary on other guidelines. It also includes a section on compensation for research injuries not found in other documents. Because the Advisory Committee on Human Radiation Experiments was responding to covert radiation experiments, avoiding deception was among its 6 ethical standards and rules; most other major documents do not highlight this. This advisory committee claims that its ethical standards are general, but acknowledges that its choices were related to the specific circumstances that occasioned the report. Above mentioned 7 requirements provide a systematic and coherent framework for determining whether clinical research is ethical. These requirements are listed in chronological order from the conception of the research to its formulation and implementation. They are meant to guide the ethical development, implementation, and review of individual clinical protocols. These 7 requirements are intended to elucidate the ethical standards specific for clinical research and assume general ethical obligations, such as intellectual honesty and responsibility. While none of the traditional ethical guidelines on clinical research explicitly includes all 7 requirements, these requirements systematically elucidate the fundamental protections embedded in the basic philosophy of all these documents. To be ethical, clinical research must be valuable, meaning that it evaluates a diagnostic or therapeutic intervention that could lead to improvements in health or well-being; is a preliminary etiological, pathophysiological, or epidemiological study to develop such an intervention; or tests a hypothesis that can generate important knowledge about structure or function of human biological systems, even if that knowledge does not have immediate practical ramifications. For a clinical research protocol to be ethical, the methods must be valid and practically feasible: the research must have a clear scientific objective; be designed using accepted principles, methods, and reliable practices, have sufficient power to definitively test the objective, and offer a plausible data analysis plan.In addition, it must be possible to execute the proposed study. Research that uses biased samples, questions, or statistical evaluations, that is underpowered, that neglects critical end points, or that could not possibly enroll sufficient subjects cannot generate valid scientific knowledge and is thus unethical. Clinical research that compares therapies must have "an honest null hypothesis" or what Freedman called clinical equipoise. That is, there must be controversy within the scientific community about whether the new intervention is better than standard therapy, including placebo, either because most clinicians and researchers are uncertain about whether the new treatment is better, or because some believe the standard therapy is better while others believe the investigational intervention superior. "Invalid research is unethical because it is a waste of resources as well: of the investigator, the funding agency, and anyone who attends to the research." Without validity the research cannot generate the intended knowledge, cannot produce any benefit, and cannot justify exposing subjects to burdens or risks. The selection of subjects must be fair. Subject selection encompasses decisions about who will be included both through the development of specific inclusion and exclusion criteria and the strategy adopted for recruiting subjects, such as which communities will be study sites and which potential groups will be approached. There are several facets to this requirement. Clinical research involves drugs, devices, and procedures about which there is limited knowledge. As a result, research inherently entails uncertainty about the degree of risk and benefits, with earlier phase research having greater uncertainty. Clinical research can be justified only if, consistent with the scientific aims of the study and the relevant standards of clinical practice, 3 conditions are fulfilled: the potential risks to individual subjects are minimized, the potential benefits to individual subjects are enhanced, and the potential benefits to individual subjects and society are proportionate to or outweigh the risks. Assessment of the potential risks and benefits of clinical research by researchers and review bodies typically involves multiple steps. First, risks are identified and, within the context of good clinical practice, minimized "by using procedures which are consistent with sound research design and which do not unnecessarily expose subjects to risk, and whenever appropriate, by using procedures already being performed on the subjects for diagnostic or treatment purposes." Potential benefits focus on the benefits to individual subjects, such as health improvements, because the benefits to society through the generation of knowledge are assumed if the research is deemed to be of value and valid. Assessment of the research plan should determine if changes could enhance the potential benefits for individual subjects. For example, consistent with the scientific objectives, tests and interventions should be arranged to increase benefit to subjects. However, extraneous benefits, such as payment, or adjunctive medical services, such as the possibility of receiving a hepatitis vaccine not related to the research, cannot be considered in delineating the benefits compared with the risks, otherwise simply increasing payment or adding more unrelated services could make the benefits outweigh even the riskiest research. Furthermore, while participants in clinical research may receive some health services and benefits, the purpose of clinical research is not the provision of health services. Services directly related to clinical research are necessary to ensure scientific validity and to protect the well-being of the individual subjects. An additional evaluation is necessary for any clinical research that presents no potential benefits to individual subjects, be balanced against individual risks.. When research risks exceed potential medical benefits to individuals and the benefit of useful knowledge to society, the clinical research is not justifiable. Investigators inherently have multiple, legitimate interests - interests to conduct high-quality research, complete the research expeditiously, protect research subjects, obtain funding, and advance their careers. These diverse interests can generate conflicts that may unwittingly distort the judgment of even well-intentioned investigators regarding the design, conduct, and analysis of research. Wanting to complete a study quickly may lead to the use of questionable scientific methods or readily available rather than the most appropriate subjects. Independent review by individuals unaffiliated with the clinical research helps minimize the potential impact of such conflicts of interest. Of all requirements, none has received as much explication as informed consent. The purpose of informed consent is 2-fold: to ensure that individuals control whether or not they enroll in clinical research and participate only when the research is consistent with their values, interests, and preferences. To provide informed consent, individuals must be accurately informed of the purpose, methods, risks, benefits, and alternatives to the research; understand this information and its bearing on their own clinical situation; and make a voluntary and uncoerced decision whether to participate. Each of these elements is necessary to ensure that individuals make rational and free determinations of whether the research trial is consonant with their interests. Ethical requirements for clinical research do not end when individuals either sign the consent form and are enrolled or refuse enrollment. Individuals must continue to be treated with respect from the time they are approached-even if they refuse enrollment-throughout their participation and even after their participation ends. As interpreted and elaborated for specific research protocols, the fulfillment of each of these 7 requirements ensures that research is socially valuable and subjects are not exploited, that subjects are treated fairly and with respect, and that their interests are protected. As a result, these requirements should be sufficient to ensure that the vast majority of clinical research is ethical. These 7 requirements for ethical clinical research are also universal.They are justified by ethical values that are widely recognized and accepted and in accordance with how reasonable people would want to be treated. Indeed, these requirements are precisely the types of considerations that would be invoked to justify clinical research if it were challenged. Like constitutional provisions and amendments, these ethical requirements are general statements of value that must be elaborated by traditions of interpretation and that require practical interpretation and specification that will inherently be context and culture dependent. Adapting these requirements to the identities, attachments, and cultural traditions embedded in distinct circumstances neither constitutes moral relativism nor undermines their universality doing so recognizes that while ethical requirements embody universal values, the manner of specifying these values inherently depends on the particular context.